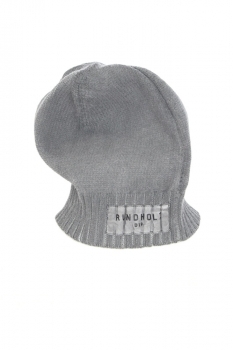 Rundholz Dip Collection Mens knitted hat, over dyed in heavy stretch knit in coal colour (light grey), distressed. Seam details. Knitted, ribbed trim. Fabric Rundholz patch.